The condition of our teeth can tell us an awful lot about lifestyle and overall health – and now it seems that looking at them can also tell us whether or not we’ve spent enough time in the sun throughout our lives. 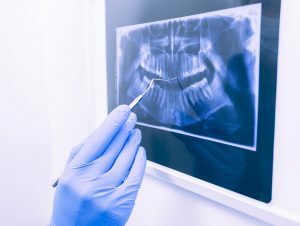 Research from McMaster University in Canada has looked at teeth of people who lived hundreds of years ago and revealed that when someone doesn’t get enough vitamin D, permanent abnormalities form in dentin layers, the structure of the tooth below the enamel. These results are interesting because it provides valuable information about deficiencies of this vitamin, which is also known as rickets. This continues to be a huge issue for public health on a global scale, with around one billion people affected worldwide. The majority of cases are caused by lack of sun exposure, with effects including bone deformities, pain and failure to maintain adequate bone levels. Dentists concerned about their patients should perhaps advise them to consider adding more oily fish, red meat, liver, egg yolks and fortified foods like fat spreads or cereal into their diet, as these are all good sources of vitamin D.
If you’re looking for dental polishers, get in touch with us here at Acerdent to see how we can help.